The Monarch last to eclose departed on Wednesday, November 15th. Although the air temperature was only in the low 40s when I left for work, the sun was shining. Our front porch faces southwest so it wasn’t long before his wings were warmed by the sun’s rays and away he flew. The forecast for parts further south along the East coast, the next leg of his journey–Westport, Long Island, and the New Jersey shore– looked promisingly mild. Thank you to my friend Patti Papows for the gift of this last little trooper. We in the Northeast aren’t alone; I am reading reports about late comers from all around the United States, and even as far north as Toronto, Canada. So few Atlantic coast Monarchs were seen last year, do the great numbers this year portend of a permanent population increase? Bare in mind that the Monarchs were formerly counted in the billions when first discovered in the late 1970s, and now, forty years later, only millions. 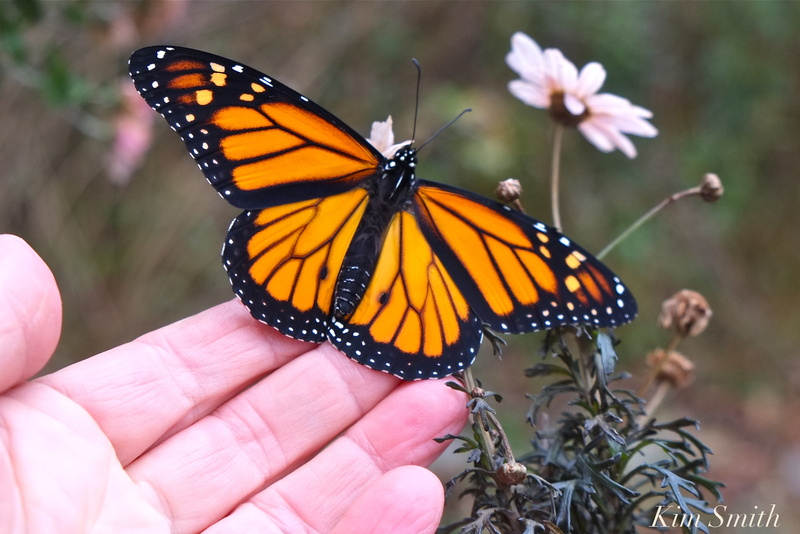 A cold New England spring was offset by an unseasonably warm fall and that certainly helped the Monarchs (and myriad species of Lepidoptera). In response to the vast areas of farm acreage that no longer supports butterflies and bees, due to the use of Monsanto’s Roundup Ready genetically modified seeds of corn, soybean, and sorghum, people all across the U.S. are planting milkweed, creating pollinator habitats, and finding alternatives to pesticides and herbicides. With Thanksgiving only a few days away I am writing with the deepest appreciation and gratitude to my community for your tremendous contributions to Beauty on the Wing. From donations of $5.00 to $10,000.00, from over 70 donors, to date we have raised $24,710.00. We are well on our way to reaching our goal! Your kind words, contributions, and friendships mean the world. We are going to make an outstanding, thoughtful and thought-provoking film about the Monarchs that along the way, through storytelling and cinematography, shines a beautiful light on Cape Ann. MY DEEPEST THANKS AND APPRECIATION TO LAUREN MERCADANTE (PRODUCER), SUSAN FREY (PRODUCER), NEW ENGLAND BIOLABS FOUNDATION, BOB AND JAN CRANDALL, MARY WEISSBLUM, SHERMAN MORSS, PETE AND BOBBI KOVNER (ANNISQUAM AND LEXINGTON), JAY FEATHERSTONE, MIA NEHME (BEVERLY), CHICKI HOLLET, JUNI VANDYKE, ERIC HUTCHINSE, KAREN MASLOW, MARION F., ELAINE M., KIMBERLY MCGOVERN, MEGAN HOUSER (PRIDES CROSSING), JIM VANBUSKIRK (PITTSBURGH) NANCY MATTERN (ALBUQUERQUE), DONNA STOMAN, PEGGY O’MALLEY, JOEY C., CATHERINE RYAN, JOEANN HART, JANE PAZNIK BONDARIN (NEW YORK), ROBERT REDIS (NEW YORK), NUBAR ALEXANIAN, PETER VAN DEMARK, PATRICIA VAN DERPOOL, FRED FREDERICKS (CHELMSFORD), LESLIE HEFFRON, JIM MASCIARELLI, DAVE MOORE (KOREA), LILIAN AND CRAIG OLMSTEAD, JOHN STEIGER, PAT DALPIAZ, AMY KERR, BARBARA T. (JEWETT, NY), ROBERTA C. ((NY), MARIANNE G. (WINDHAM, NY), PAULA RYAN O’BRIEN (WALTON, NY), MARTHA SWANSON, KIM TEIGER, JUDITH FOLEY (WOBURN), PATTI SULLIVAN, RONN FARREN, SUSAN NADWORNY (MELROSE), DIANE LINDQUIST (MANCHESTER), HEIDI SHRIVER (PENNSYLVANIA), JENNIFER CULLEN, TOM HAUCK, AND ANONYMOUS PERSONS FOR THEIR GENEROUS HELP. 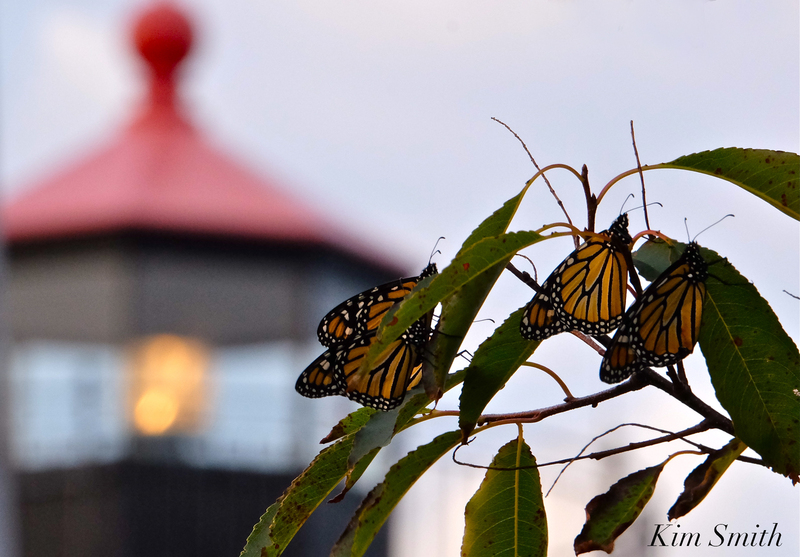 This entry was posted in Gloucester Massachusetts, Lepidoptera, Mariposa Monarca, Monarch Butterfly, Monarch Butterfly Film, Monarch Butterfly Migration and tagged Beauty on the Wing ~ Life Story of the Monarch Butterfly, Cape Ann, Fundraiser, Male Monarch Butterfly, Monarch butterfly, Monarch Butterfly Film, Monarch Butterfly Migration on November 21, 2017 by Kim Smith.